1. December 15 is the deadline to renew or sign up for coverage for the first time and start the New Year with a new health plan. It’s the last day Illinois’ uninsured can enroll to get coverage that starts on Jan. 1. 2. New insurance plans are available in the marketplace from some of the top carriers in the state. With more than 400 plans available (versus 165 last year), residents have more choices available, which makes it quite possible that a new plan will be a better solution. 3. Your cost may have changed for 2015. Even if you are happy with your plan from last year, you should review your options to see if your rates or the amount of financial help you qualify for will change in January. 4. You may miss out on a better deal and cost savings if you do nothing and are auto-renewed into the same plan. Experts say that most consumers will be able to buy a plan at a lower cost than they paid in 2014 if they shop around. 5. You don’t have to do it alone. Free in-person assistance from hundreds of trained professionals is available throughout the state. Get Covered Illinois is extending hours and in-person appointments are available to help consumers before the deadline. 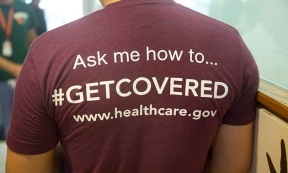 Get Covered Illinois is hosting enrollment events and extending hours at locations leading up to the Dec. 15 deadline. For a complete list of locations, visit GetCoveredIllinois.gov or call 866-311-1119 to schedule an appointment or to find help near you.